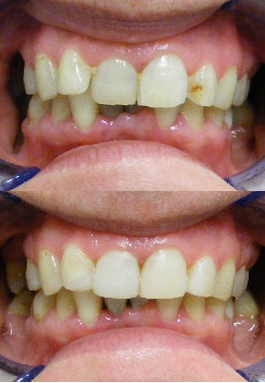 Need a dental make-over ? 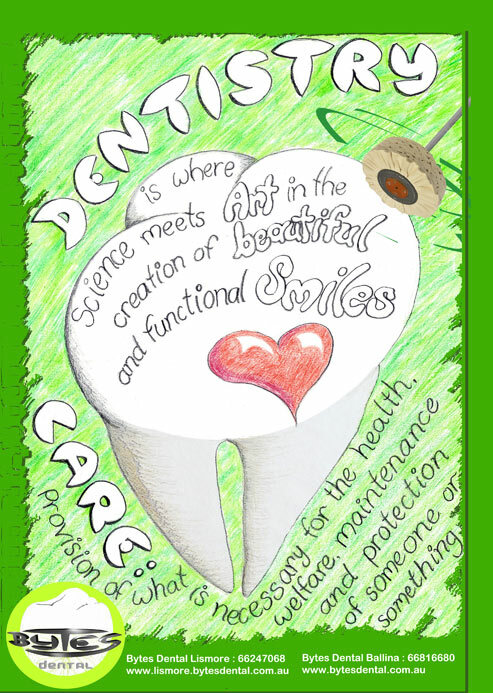 Cosmetic dentistry does not have to cost the Earth. 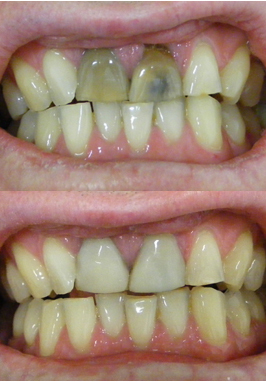 We have many tricks to give your smile a lift, in a price range that suits your budget. For years this lovely lady had put up with crowded teeth. 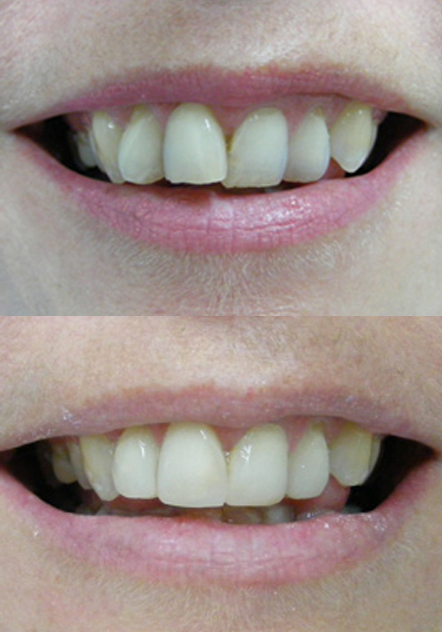 This simple solution using composite resin saved her from having to go through years with braces. Total cost was $1200 for 4 teeth. Ask you dentist on a variety of ways to improve your smile. 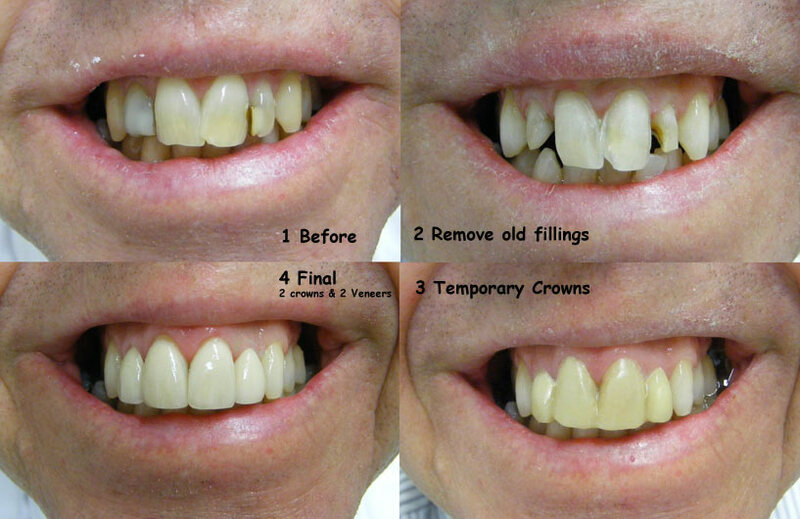 Here we can see step by step how the old fillings were removed and prepared for crowns. 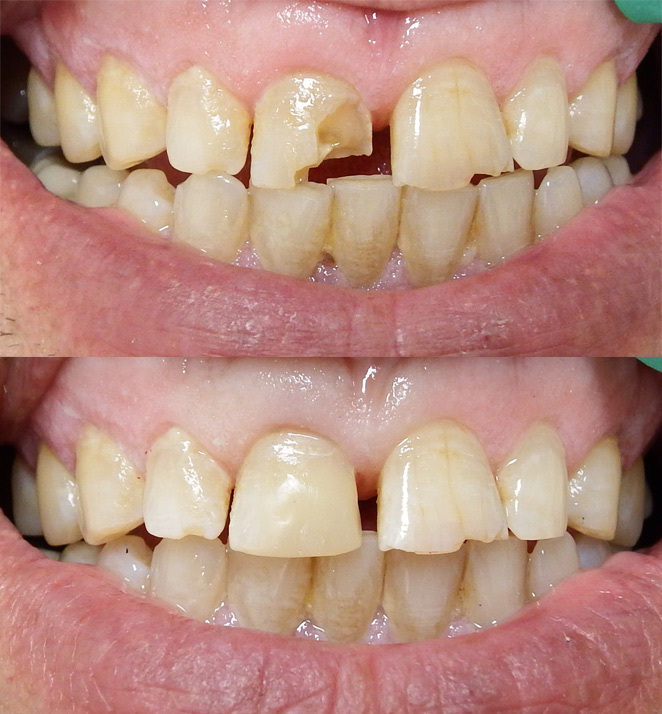 The temporary filling last about 2-3 weeks while the porcelain is being crafted by the highly skilled lab technicians. For a comprehensive guide to many other types of dentistry, see our Bytes Dental Ballina link. Cracked tooth. Fortunately we were able to crown this tooth before it split apart completely. Nice save. Like lemons? Acidic lemon juice (even when squeezed in water) erodes away the mineral content of the teeth until eventually cavities form. 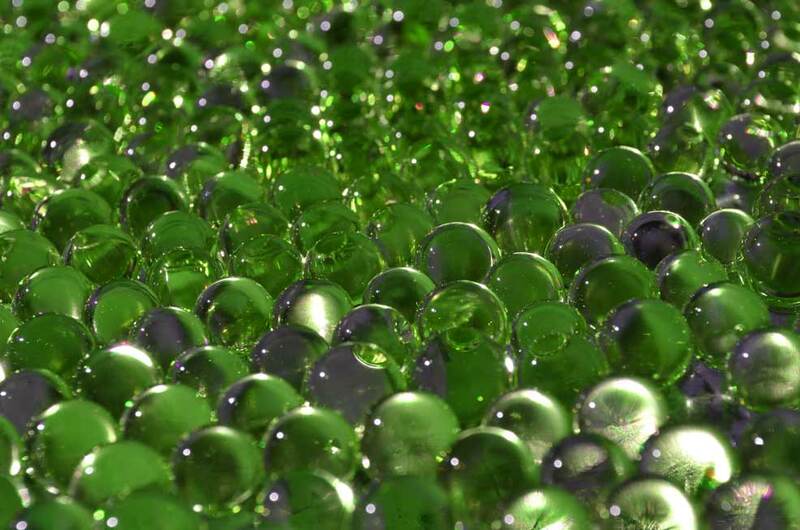 Acid erosion also happens from stomach acid (reflux), wine, softdrinks and sports drinks. 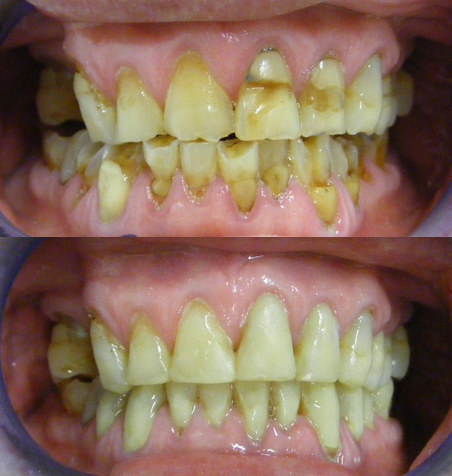 Part of this dental treatment’s success was that the patient agreed to stop eating lemons. 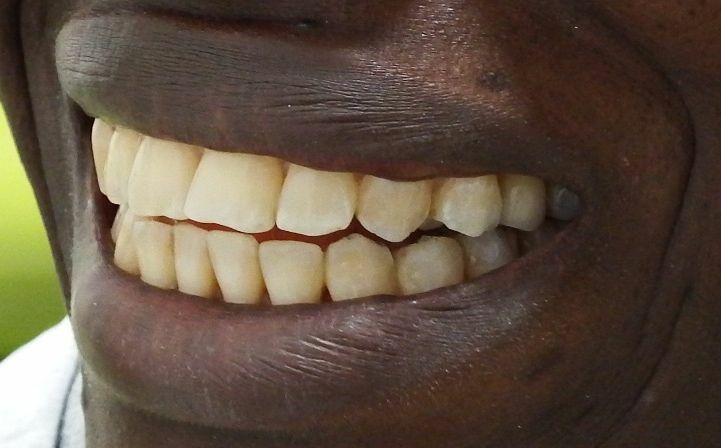 These teeth were covered with composite resin. No drilling required. 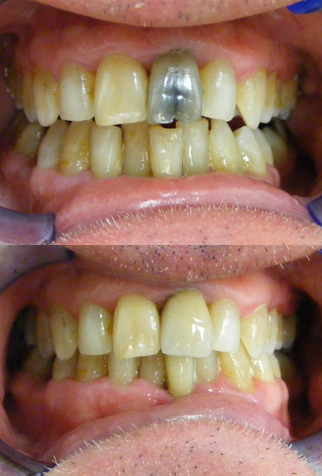 These teeth were sculpted and composite resin added to realign the teeth without braces. Three sections of an implant. 1.The implant screw is surgically embedded. 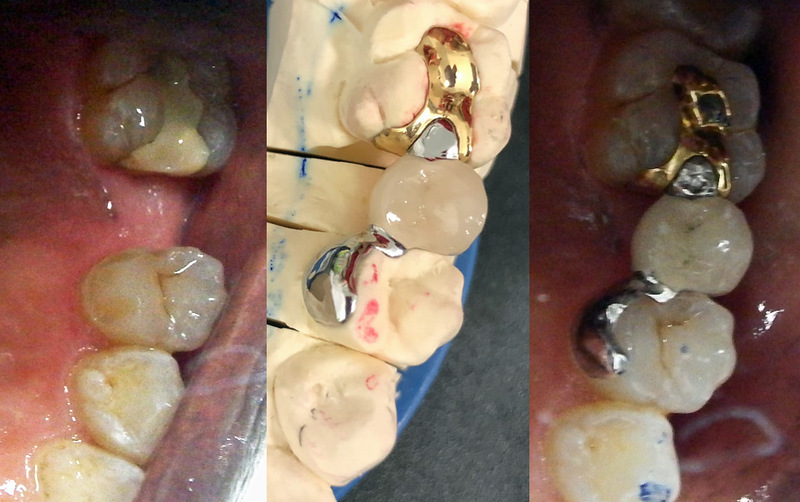 2.The gold abutment screw links the implant to the surface. 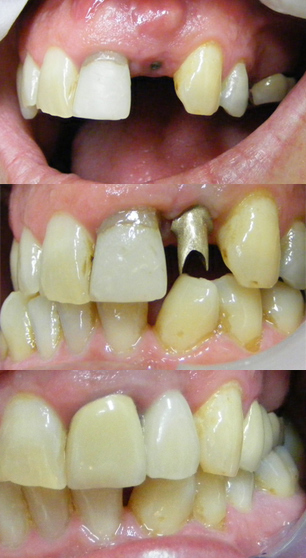 3.The porcelain crown covers the gold abutment. Tiny bridge clipped onto one tooth to permanently fill this gap. Alternative to an implant. This Maryland Bridge bonds onto one tooth and fills the gap. No metal is visible in the smile. Maryland Bridge filling the gap. Can you tell which tooth it is? Composite resin repair looks OK but will it last? A crown would provide a stronger solution in the future.